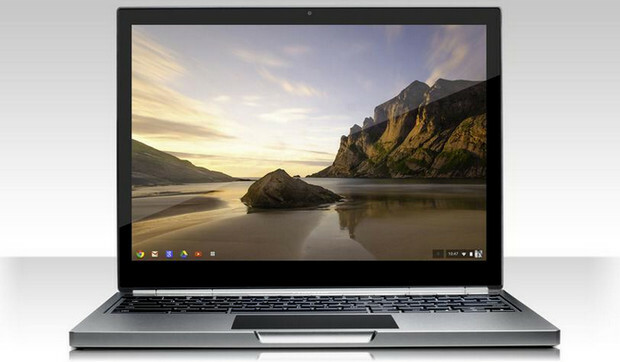 Google has just unveiled a stunning, high-end Chromebook touchscreen laptop, packing a high-resolution 2560 x 1700 pixel touchscreen display and a beefy Intel Core i5 processor. 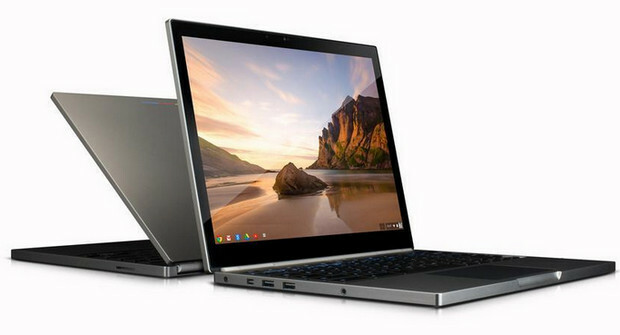 Available for order on the Google Play store and shipping in April, the Chromebook Pixel packs a 12.85-inch touch-sensitive Gorilla Glass screen boasting a resolution of 4.3 million pixels. A quick back of the fag packet calculation means that its resolution works out at 239 pixels per inch – better than the much-lauded Macbook Retina screen. Google was keen to get across that this isn’t a laptop for all users: “This is for power users who live in the cloud,” said Senior Vice President of Chrome Sundar Pichai at the launch event in San Francisco. There’ll be two flavours of The Pixel on offer – a cheaper Wi-Fi only model and a pricier one that can hook up to Verizon’s superfast LTE network. Both versions come with one terabyte of Google Drive cloud storage, free for 3 years. 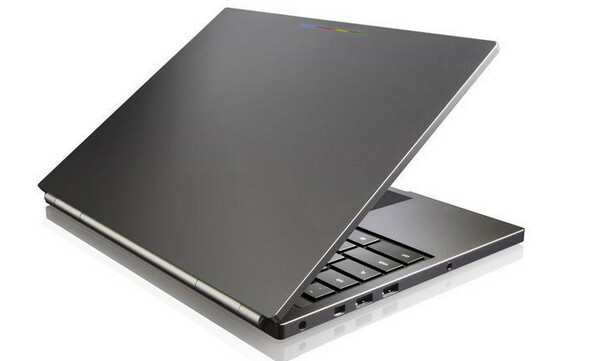 The design looks very slick, with the aluminum-clad Pixel showing signs of some clever design work – for example, Google have included a third microphone under the keyboard, which works with the two existing mics next to the camera to cancel out typing noise on a video conference. Neat. The Pixel comes with QuickOffice built into the browser and there’s an SD card slot for automatic photo uploads to Google+. Battery life is quoted at a reasonable but not amazing five hours on the device, but it’s the touchscreen that gets us excited: after using an Asus Transformer for several months, we’ll never go back to a non touchscreen laptop. 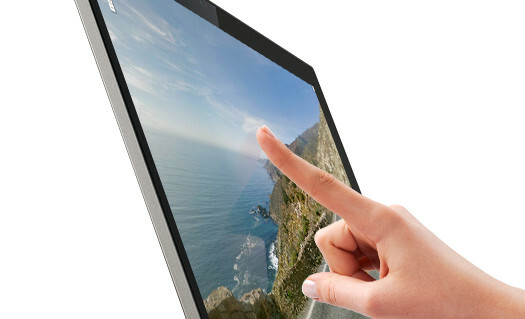 Touch is here to stay, and I’m pretty sure every laptop will have touch in the future. Using a laptop with touch seems strange at first, but your day-to-day browser experience starts changing. In our tests, users started replacing the touchpad pretty quickly. All this goodness comes at a high price though, with Google quoting $1,299/£1,049 for the Wi-Fi only version, $1,449 for the LTE model.